The rise of super brand Under Armour is a perfect underdog story that has inspired millions of people around the world. Ever since the sports clothing and accessories brand was founded in 2006 by CEO Kevin Plank, it has kept its status of most innovative sports clothing brand in the world. Plank’s inspiration for Under Armour from a profound dislike, shared by millions of amateur and professional athletes, of sweat-soaked t-shirts and drew inspiration to create compression shirts and shorts that remained dry. The idea became a reality after Plank perfected the design made from microfibers that kept athletes cool, dry and light. This was the day Under Armour was introduced to the world of sport. The slogan of Under Armor, “I will”, has no context, it is very short and vague, but it does not stop having a halo of great inspiration and power. Under Armour recently released their quarterly financial figures, which showed a 31% rise in revenue compared to last year. 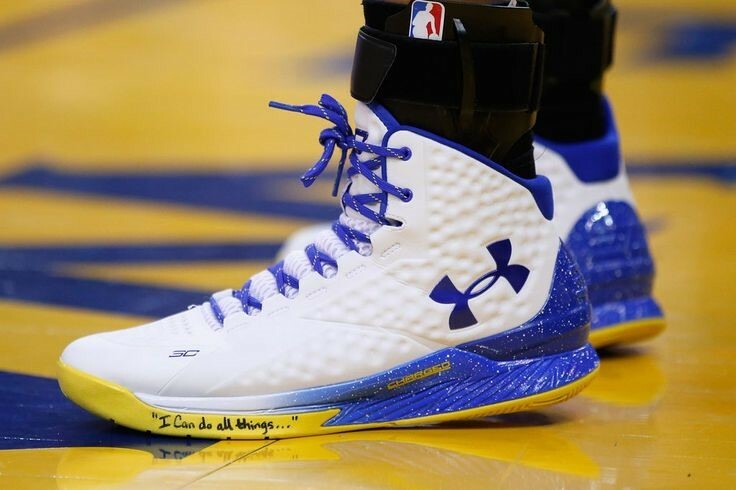 The brand’s revenue and profits exploded in the fourth quarter, supported by growing footwear sales as a result of brand ambassador Stephen Curry’s newly released shoes. The strong results acted as an incentive to investors and shareholders who boosted shares up by 14% in pre-market trading. The sports apparel industry was dominated by the big shoe companies. But there was a void in apparel and I decided to fill it. However, beside the rise in stock price and investment, the result also enabled Under Armour to surpass Adidas and is now trailing behind sports goods giants Nike. Experts believe that since Under Armour’s quarters have now been consistently positive and growing 22 times in a row, it is not a question of if but rather a question of when the brand will take over Nike’s number one position as world leading sports goods organization. The major 31% rise in revenue also marked the brand’s milestone of generating over $1 billion in revenue. Revenue rose 31% to $1.17 billion, above analyst estimates of $1.12 billion. What is worth mentioning is the company’s surging footwear sales, which literally skyrocketed 95% to $167 million, outplaying Adidas and Nike. The sell-through on the Curry Two was like nothing we’d ever seen before, which is the same thing people say after they see Curry play. What distinguished Under Armour in an industry that has forever been dominated by giants Nike and Adidas is their involvement and care for outstanding professional athletes that are the face of the brand. Stephen Curry became the brand ambassador in 2014 and has ever since skyrocketed corporate revenues with his signature shoe series. What is most surprising is that current MVP and NBA Champion Curry was never meant to sign a sponsorship contract with Under Armour. When news broke, Under Armour jumped to the occasion and immediately agreed to Curry’s special request. Today, Stephen Curry’s magical performances have tripled the player’s value and have enabled the brand to grow with the player; dominating the sports shoe market. Curry also recently announced his contract extension with Under Armour until 2024, while the brand projected $7.5 billion in sales by 2017. 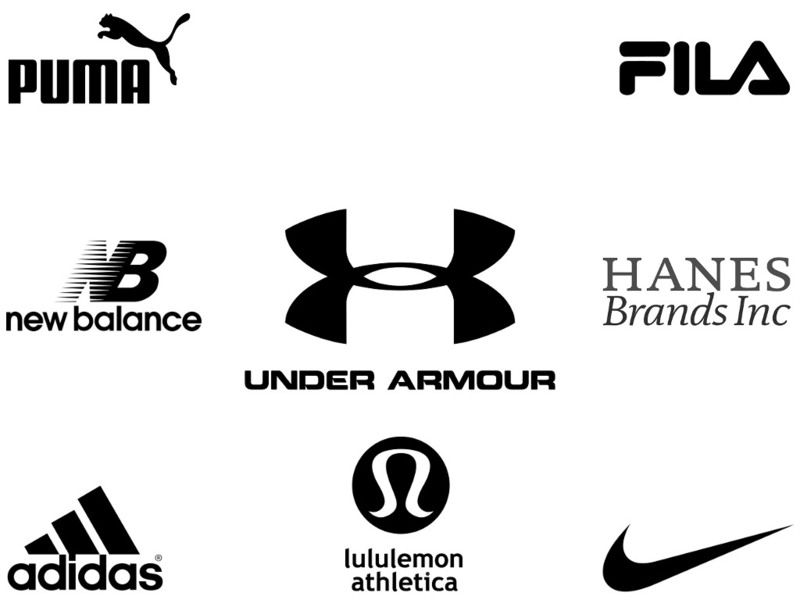 After having grown for 5 years between 2012 and 2016, Under Armour brand value is positioned in 2017 in values lower than 2015.
International competitors of Under Armour are Puma, Fila, Adidas, New Balance and Nike while for the US market we have to consider also brands like Hanesbrands and Lululemon Athletica. A part Lululemon that mainly sells items at its own stores or website, all the other brands, Under Armour included, rely on retailers like Foot Locker for distribution. 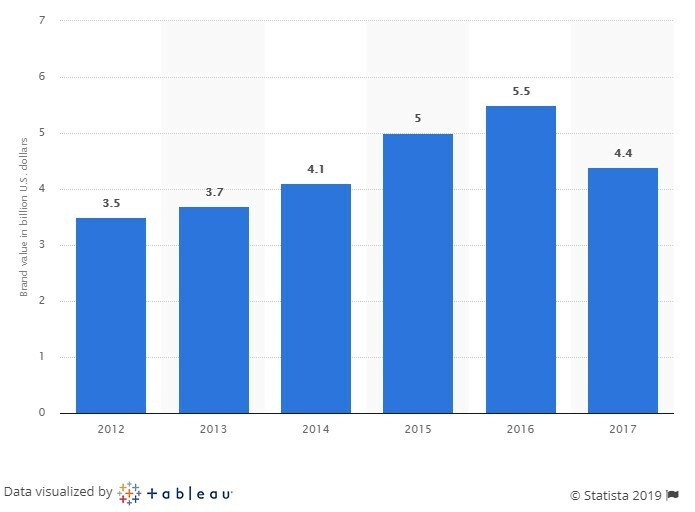 However, all brands are orienting their strategy to grow their direct sales by online channels, by Amazon or their own websites. 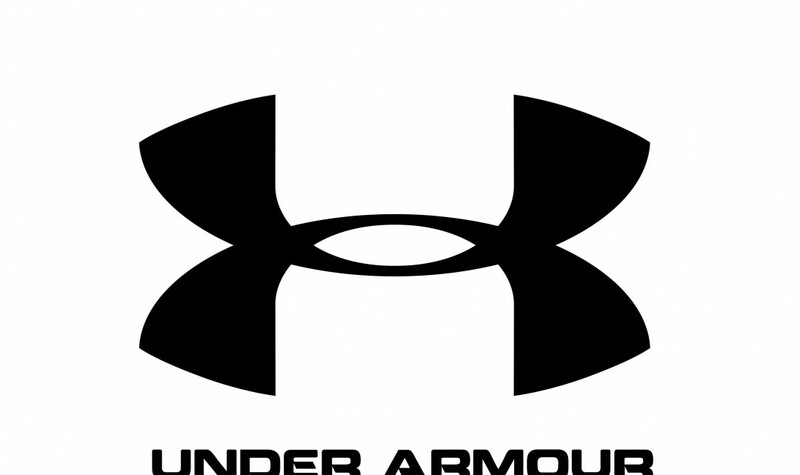 Today Under Armour competitive advantage is its innovative brand image, embodiment of willpower, strength and drive. Under Armour’s international marketing has been phenomenal and has truly influenced the brand’s recent success. The brand has done a tremendous task choosing the right athletes to become the public face of the company such as Stephen Curry, Dwayne Johnson, Saul ‘Canelo’ Alvarez and Lindsey Vonn. The brand’s impact goes beyond popular American sports, with English football club Tottenham Hotspur becoming the first English Premier League (EPL) team to have its kit made by Under Armour. The five-year deal signed in March 2015 worth $81 million, is the brand’s largest European sponsorship deal. Under Armour also makes the kit of the Welsh Rugby Union and is currently entering Asian markets in their expansion journey. However, what enabled Under Armour to impact the world are their perfectly designed advertisements that both serve a rational and emotional purpose to the brand’s products. Many have described the brand’s latest advertisement starring Olympic Champion Michael Phelps as the best sporting advertisement of the year so far for its emotional touch and motivating push. 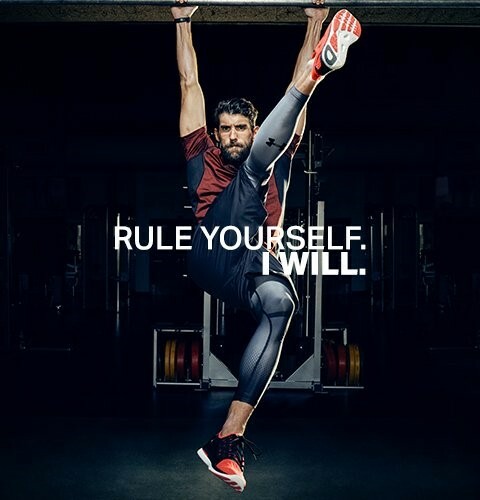 The advertisement was extremely moving and payed tribute to the legendary swimmer that broke countless world records; supporting the organization’s core values and motto: “Rule yourself. I will”. Under Armour deserves every inch of success as a result of an outstanding corporate culture that encourages innovation. The brand was recently welcomed to the Big 3 Club, joining giants Nike and Adidas, and is surely not stopping their efforts to become the world’s leading sports goods organization. The brand’s marketing approach has proved to be extremely successful with outstanding advertisements that have touched millions of amateur and professional athletes who believe in the brand’s promise to make athletes better.